We are happy to announce, that the Patient Blood Management-concept was awarded with the third place of the MSD Gesundheitspreis 2018. This was made possible by your support – for which we want to thank you! 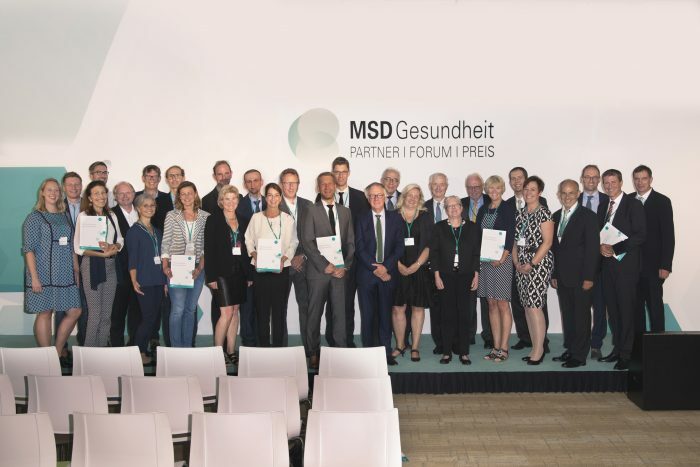 The awardees of the MSD Gesundheitspreis 2018. Prof. Dr. Meybohm and Prof. Dr. Dr. Zacharowski (centre) accepted the award during the ceremony.